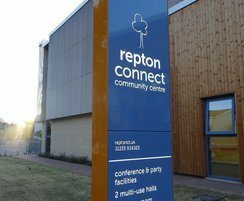 Repton Connect is a new-build community centre in the heart of Ashford. 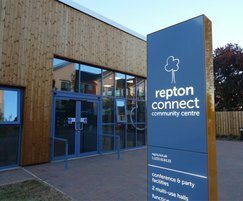 Its modern design includes a juxtaposition of timber cladding and illuminated fascias, creating a striking architectural centrepiece for Repton and a place for community events. 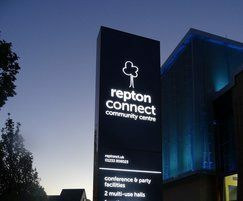 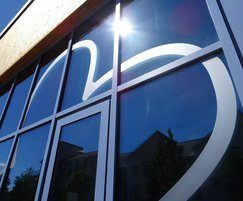 A range of welcome and wayfinding signs was required that reinforced the Repton Connect brand and complemented the building’s unique architecture. 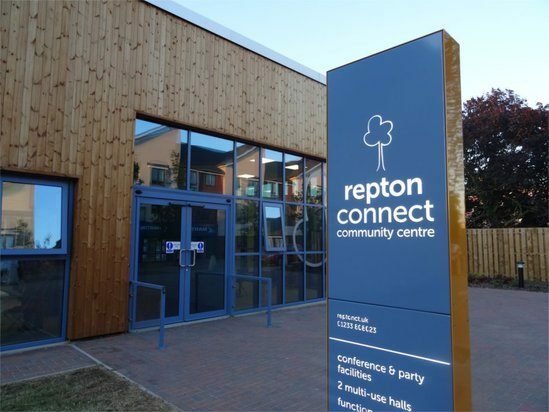 Fitzpatrick Woolmer designed and manufactured a number of signage products for the project. 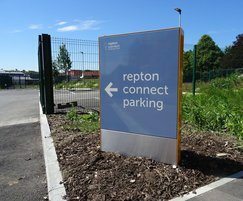 Enigma™ monoliths were installed at the main entrance and car park. 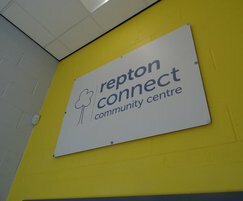 These were finished in brand colours and had internal LED illumination for maximum impact. 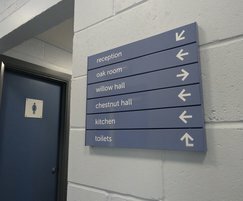 Prohibition signs with DuoGuard™ anti-graffiti coating were positioned throughout the site to encourage positive behaviour and internally clear wayfinding and badging signs were installed to help visitors find their way within the building.